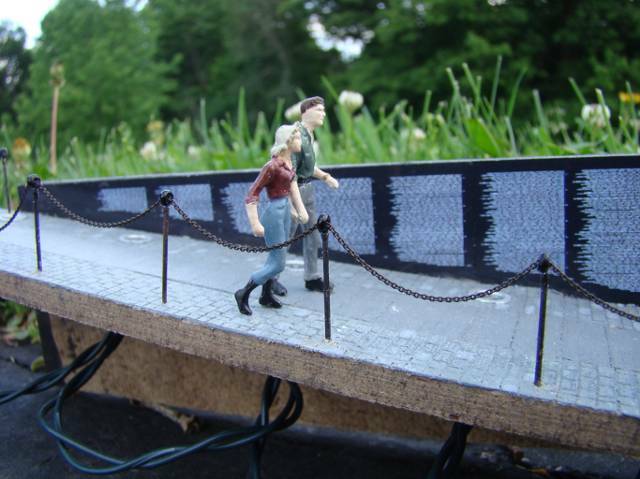 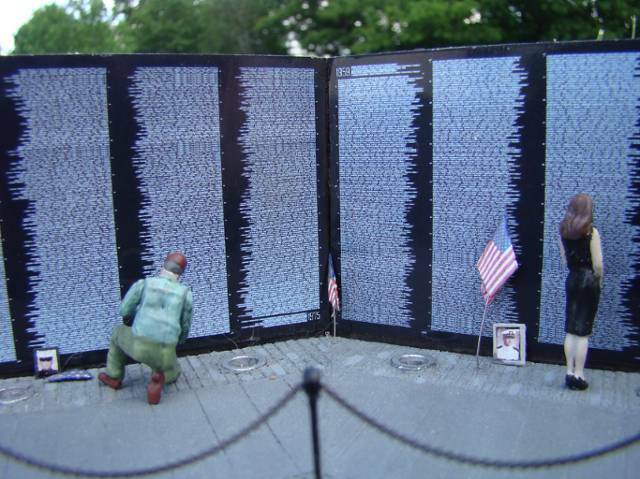 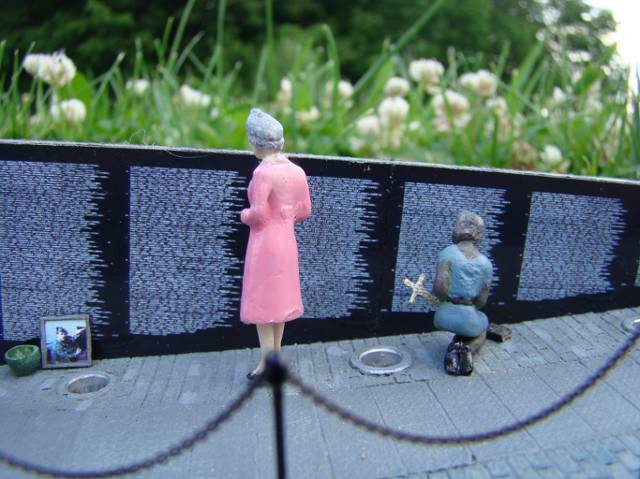 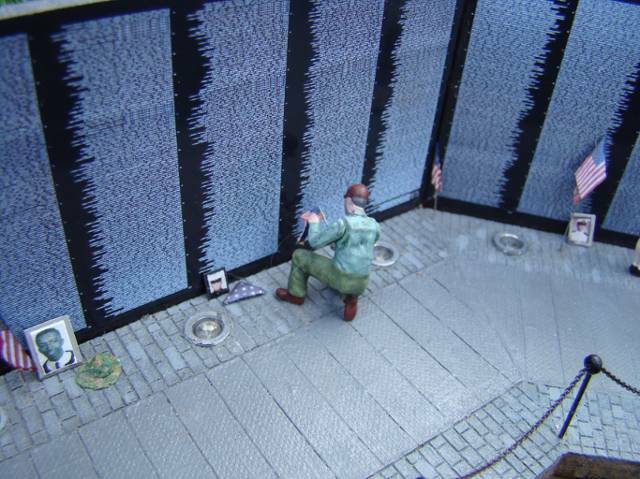 (Guest) J&C Studios O Gauge Archive Jim M Memorial Day at the Vietnam Wall. 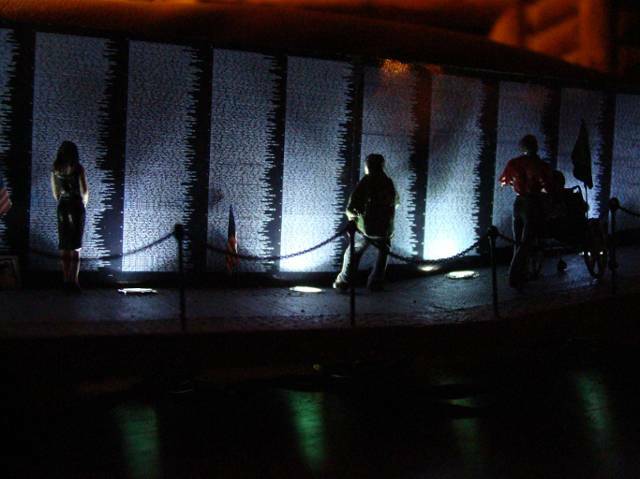 Topic: Memorial Day at the Vietnam Wall. 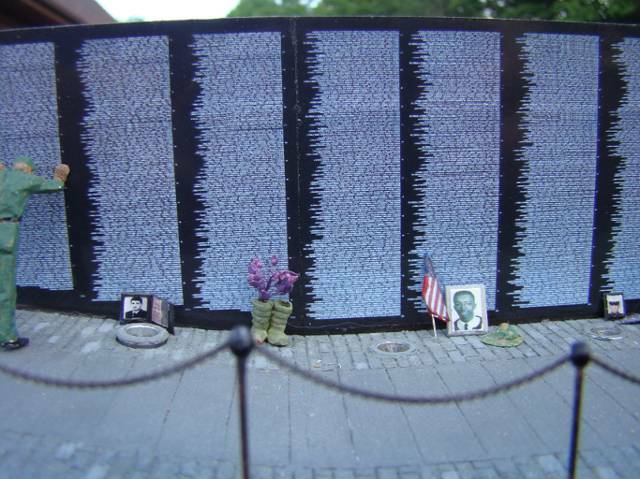 We visited this memorial quite a few years ago and it left a huge impact on us. 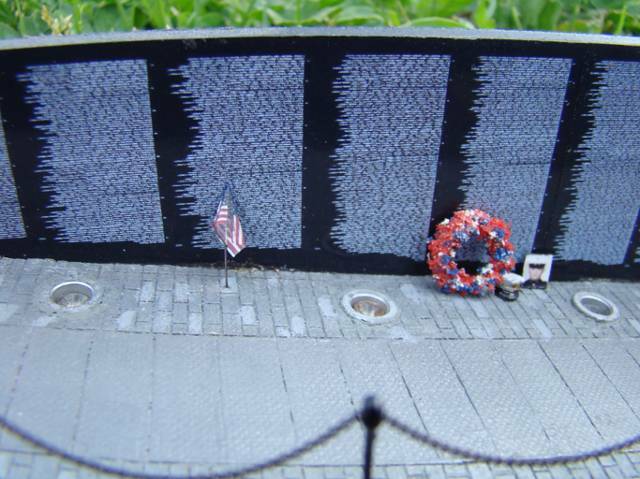 Since we wanted to put a memorial park on our layout, I thought I'd try to model the Vietnam Wall War Memorial. 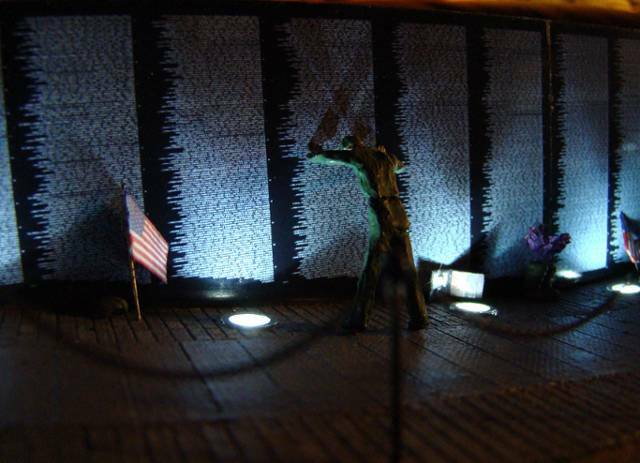 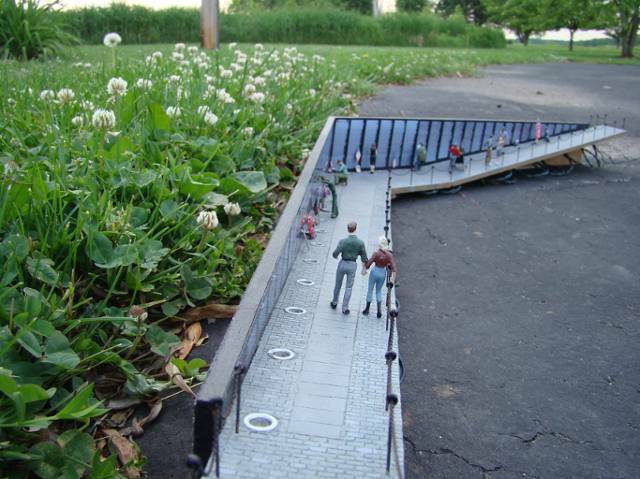 Though not to true scale lengthwise (each wing of the wall would have to be 5 times longer than they are), it is pretty close to scale as to the depth. 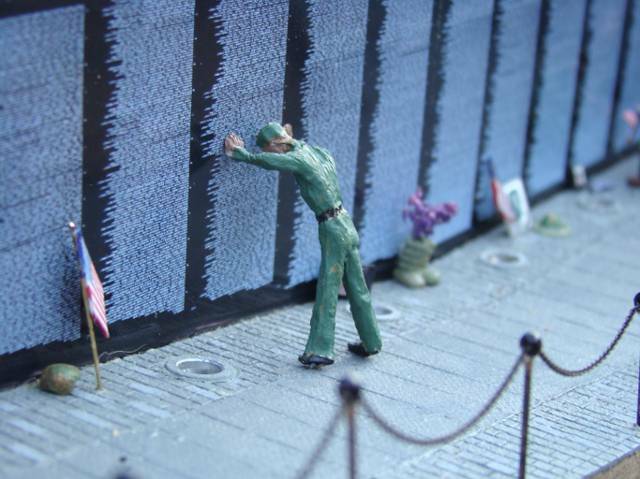 I wanted to depict some scenes that we'd seen at the wall when we were there. 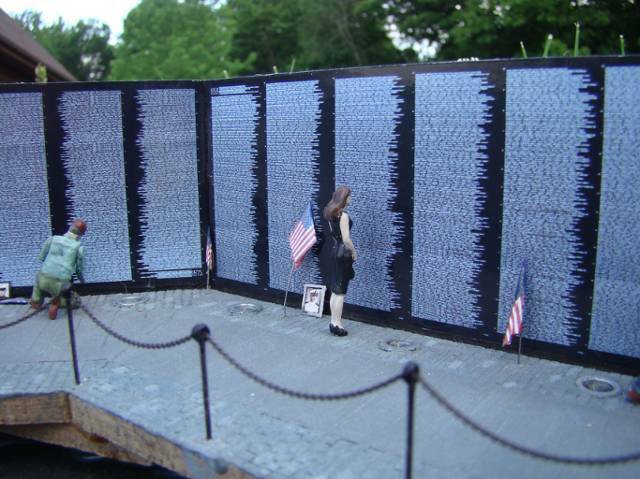 Jim there are just no words for this. 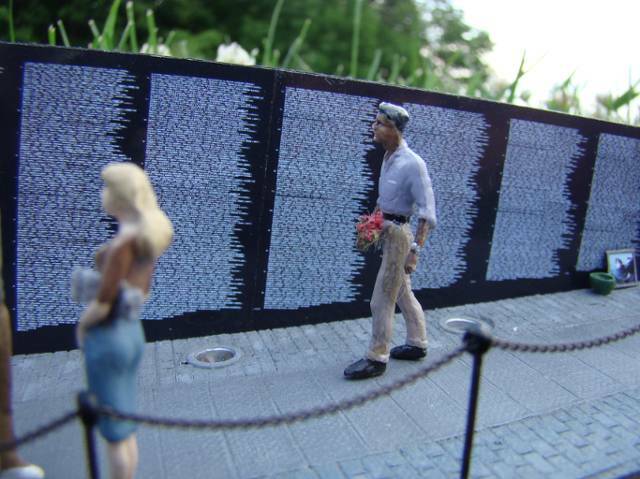 You have captured this special place exquisitely; anyone who has visited the Vietnam Wall memorial in Washington, DC will immediately recognize not only the structure, but the many images of people paying their respects to the loved ones they have lost. 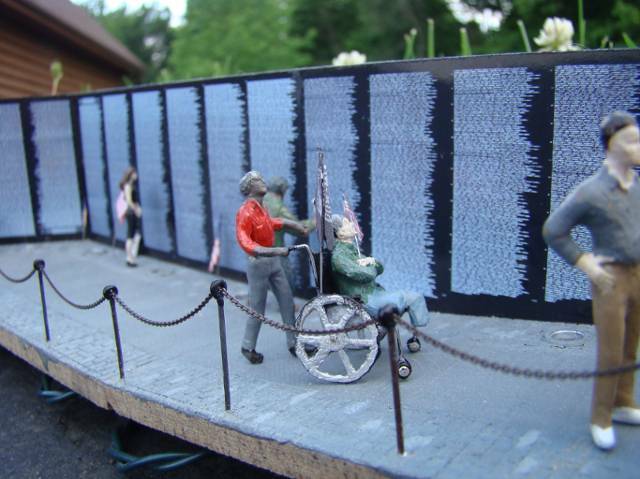 How fitting for this Memorial Day - thank you so much for sharing this touching work with us. 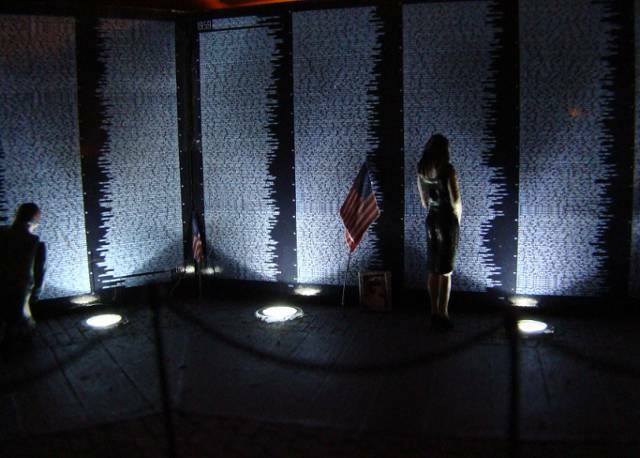 Jim, This is a wonderful and beautiful display, as John said it's hard to find the words to reflect my feelings seeing this. 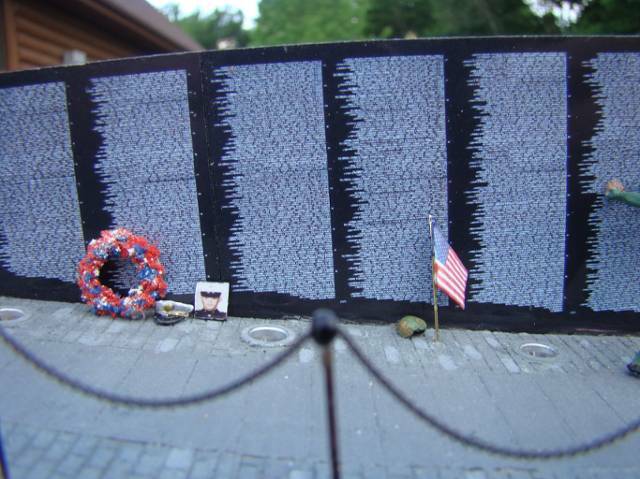 I have friends who's names are on this wall.